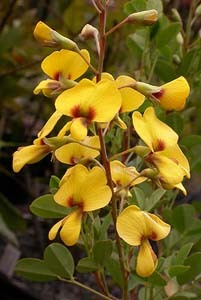 Tasmania has one species of Goodia (G. lotifolia). 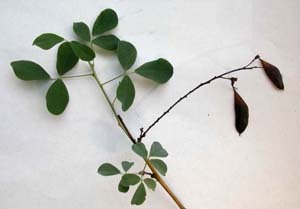 This native shrub is characterised by soft, pale foliage (either hairy or waxy) with leaves in which the terminal leaflet is distant from the two basal leaflets. 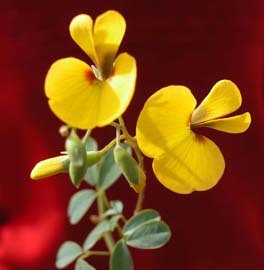 The flowers are golden-yellow. nb The Students Flora described subspecies pubescens as a separate species.